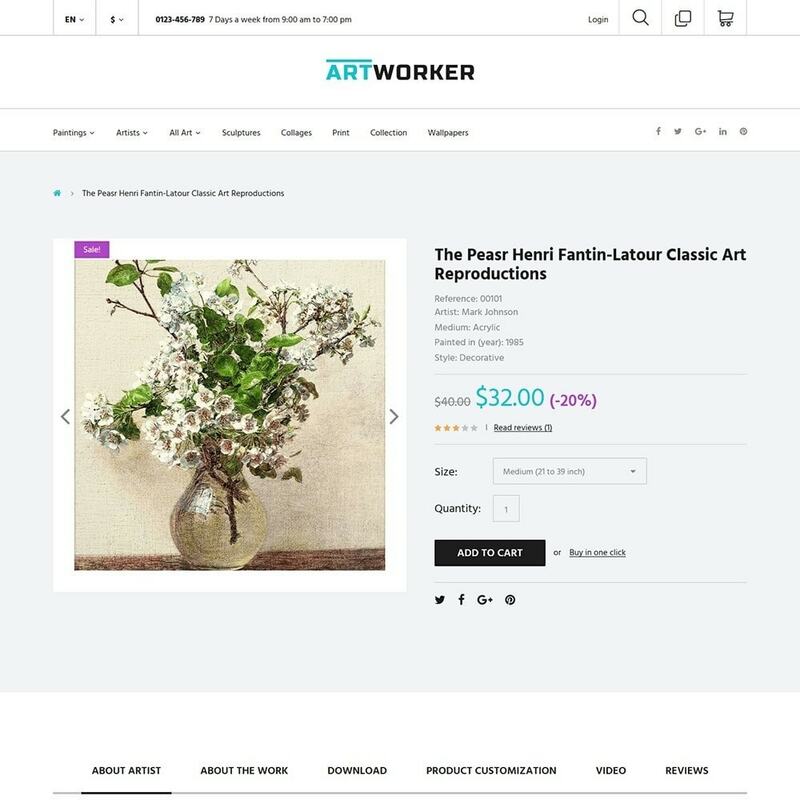 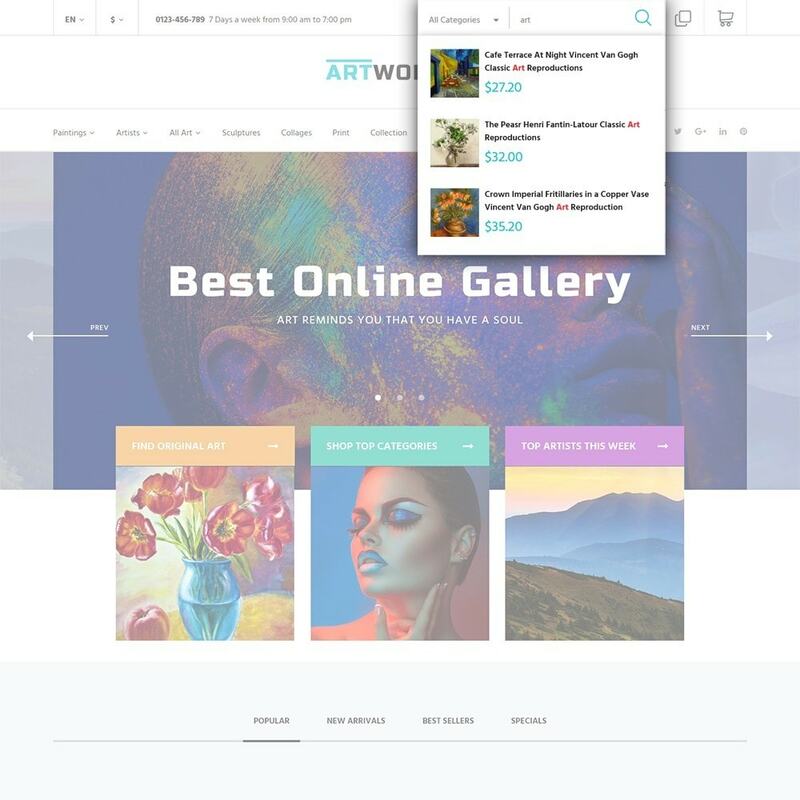 Online Art Gallery Theme with a catchy design will be coherent with your artworks and outstanding projects. 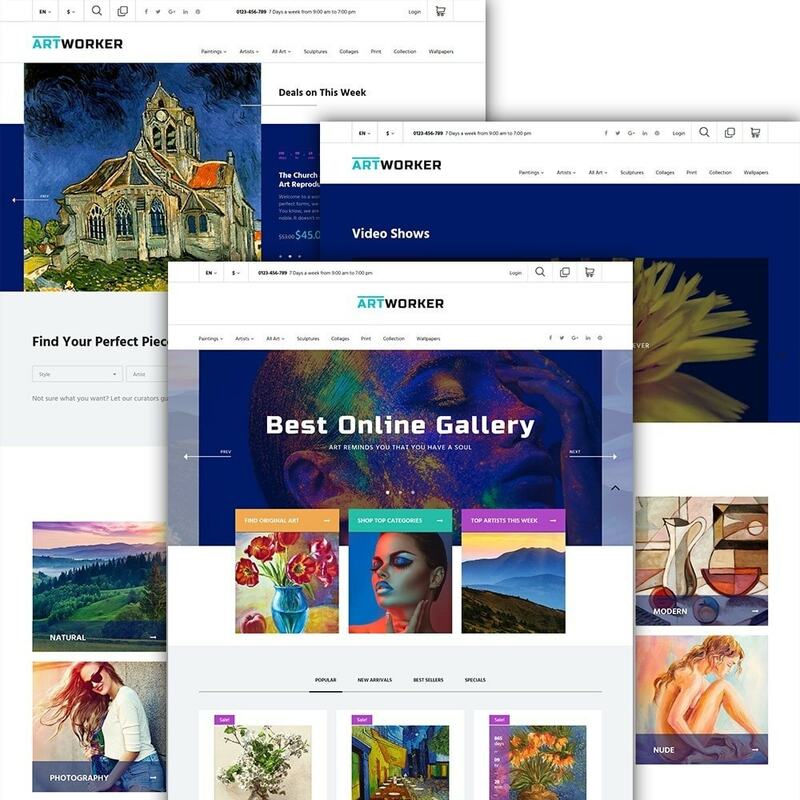 Showcase them by means of premade pages and gallery options. 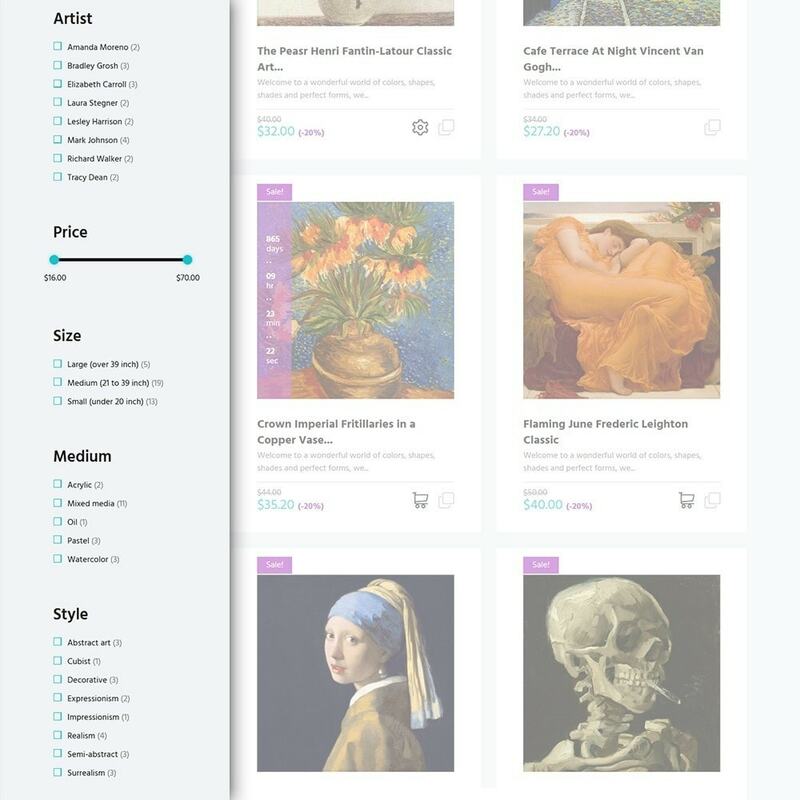 Every item is categorized in a dropdown menu and can be reached with a click.